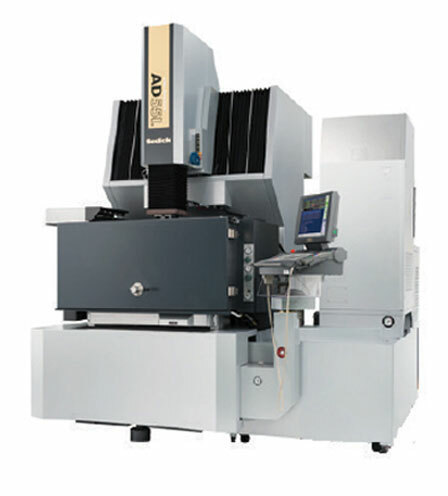 AD55L - Compact machine with Linear Motor superiority. Linear motor driven AD55L is a medium size High speed Die-sinker electrical discharge machine. New Arc-less EDM machining system is a standard feature which greatly improves cutting speed and accuracy with minimal human errors. In addition, the standard SVC circuit makes high quality surface finish, satin surface and mirror finish attainable with greate ease. The Menu driven LN Professional automatic programming enhance the efficacy of the machine.